Hello friends! I don’t know about you, but I am a big fan of foiling. 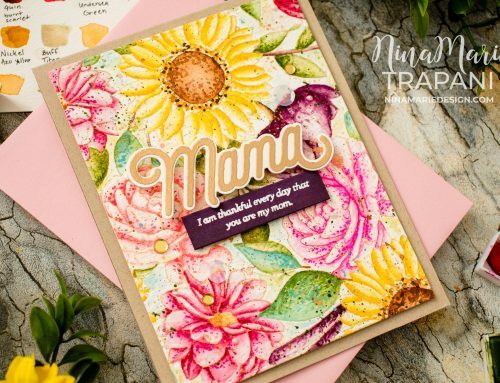 ThermoWeb’s foiling products are so much fun to create with, and I was really excited to try out some of the new shattered rainbow Deco Foil that they revealed at Creativation 2019! This particular foil isn’t available just yet but will be VERY soon! You could substitute the foil I used for the Rainbow foil already available from ThermoWeb. For today’s project, I wanted to try something completely different for me. I’ve not yet tried applying foil to foam tape, so I gave it a go on this card and I LOVED it. It’s dimensional and the foil transfers perfectly. 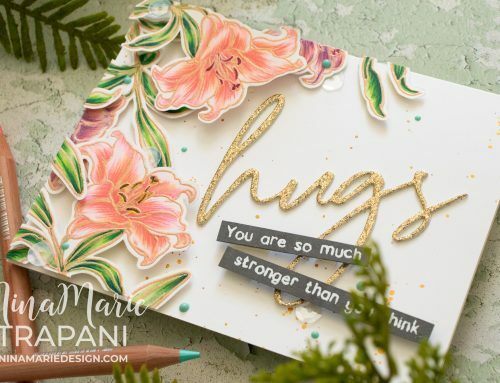 The best part is that you don’t need to use any special tools or machines for this technique; all you need is a foil you love and some foam tape! Cut a strip of foam tape off and apply sticky side to backside of foil. Press firmly, making sure to push against the edges of the foam tape (to ensure all areas are covered). Peel back foil from foam tape to reveal foil left on the tape. Remove the release paper from the other side of the foam tape and adhere to card. Trim down any excess foam tape hanging off the edges of the card. To finish the card, I die cut a sentiment from the Birch Press Designs Sugar Script Big Thanks die using Simon Says Stamp cardstocks. I also white heat embossed a greeting onto black cardstock using the new, Memory Box Best Life Typewriter Sentiments stamp set. With leftover bits of foil, I die cut a few hearts and adhered them in a few places to accent the foiled stripes. This card turned out so pretty and I really love this new foil from ThermoWeb! I cannot wait for it to come out so you all can start experimenting with it too; I know you will enjoy creating with it as much as I have! 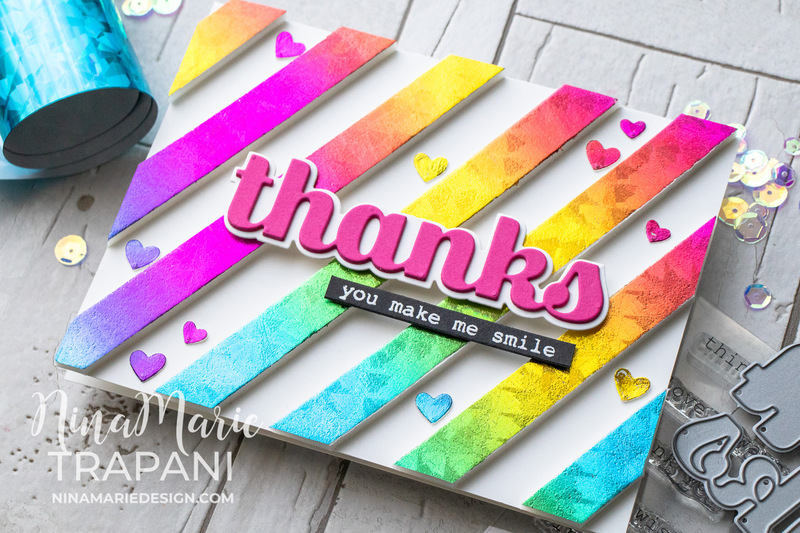 In the meantime, I hope you will give this foam tape foiling technique a try using one of your favorite foils! 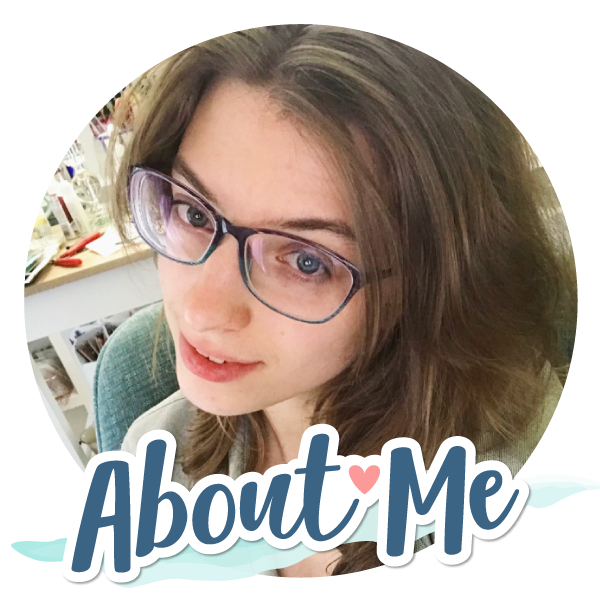 Thanks so much for stopping by and spending time with me today; I will be back again very soon with fresh inspiration to share! 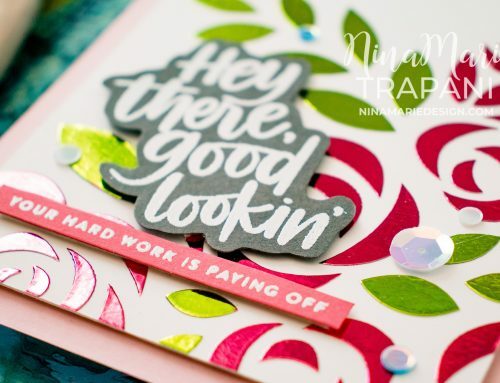 WOW, how pretty Nina, I haven’t thought to foil foam tape, I must try it. Yours looks amazing! Lovely card! I appreciate you sharing this technique for those of us who don’t own any of these fancy foiling machines :) Thank you! This is an awesome technique!! I have everything I need to try it WooHoo! Thank you for sharing this and for the inspiration.